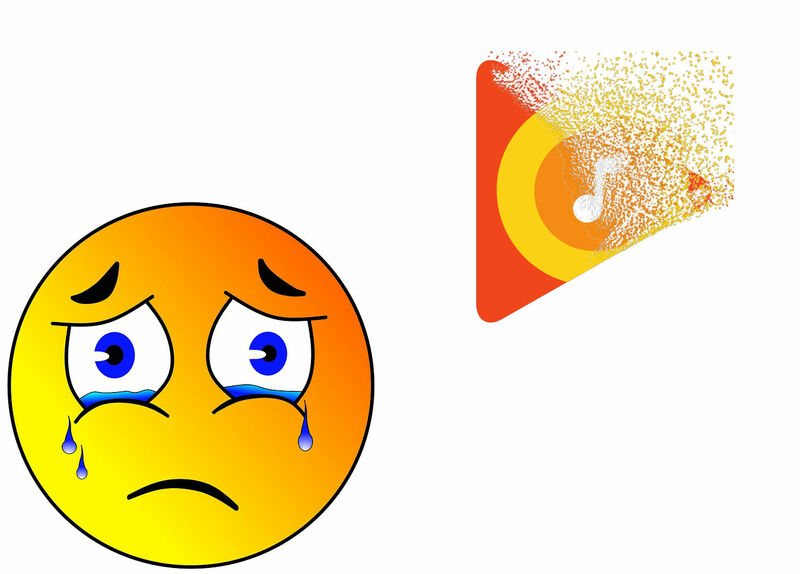 Google Play Music is going away, and I can't tell you how upset that makes me. There used to be some AMAZING things about being a real Google fanatic. But to be able to show to folks, look at Google Drive, look at Google Photos, how awesome are all those. My favourite, as much as I love Photos, is Google Play Music. I remember the launch and the hectic workaround we would come up with so that we can get it to work in Canada. It was the biggest article on the site for years. Even when they launched it in Canada that announcement article was still a huge feather in the cap for us Canadians to finally have some parity with our American friends. Aside from just finally being treated the same - it was the fact that how awesome is it that we could just share all our music with this service and then we could get access to any of them anywhere with internet access. I no longer had to figure out how to sort and organize music on my computer so that I could find them and copy them over to an SD card to each phone. Just log in and sync/cache playlists. My favourite feature - one that I'll have no clue how I'll reproduce - is that I can have my Android Wear watch (yea, I know... Wear OS) and sync music to it, pair a set of Bluetooth headphones and I can leave my phone in my locker. Albeit, the system we have with Wear OS and Play Music has gotten worse - it's still a better solution than having to find a way to hold on to my phone while I jog. Just too afraid to hope I can hold it the entire time or it'll just stay in a pocket (and not become grossly sweaty because of that). Google Play Music used to be pretty straight forward. Upload your music to the cloud and you can listen to it. If you want to augment your library you can buy music through the site or pay for the service and get access to anything they had in their library similar to Netflix. They bought out Songza and included that 'curated playlist' feature so that even if you didn't have a song, but wanted a good workout list or something for a chill Sunday afternoon, you could listen to these songs (ad supported). It got a little convoluted when they started to put Podcasts in there. What I found was that cool as it was to subscribe to some podcasts on the desktop or the app, but I couldn't get them on my watch. I'm not a big podcaster anyways, so no biggie. But to deal with music on the watch became a bigger headache as they rolled out the new update, severing the phone-watch link. Previously, we could connect from the app on the phone and tell it which songs and playlists to cache on the watch. Now, we have to go to the watch itself and load up what playlists you have on my account (and it's SUPER SLOW) and sync those playlists. The problem there is I can only play playlists, I can't play all songs on device, or just an artist, etc... it's just playlists. Sigh. Issues, but they're issues I can deal with. Muddying the waters a while back was this introduction of "Youtube Music". Now Youtube itself is a hot mess with Youtube Premium, Gaming, Red ... all sorts of options and variants that they're trying to figure out. Well, lately it seems as tho Youtube Music is going to replace Google Play Music. Lately, whenever I try to find a musician to purchase music it's been made harder and harder to do so. When I got my Pixel 3 - out of the box it was presenting YTM as my option and pushing me to sign up. I just want music. Recently, Google sent out a notice to musicians that they were shutting down the Artist Hub on April 30th. This was a space where independant musicians can make their own space for selling their content. In the letter, they say that they "...eventually plan to replace Google Play Music with YouTube Music..."
Now, that's not saying that it's gone ... it will be gone eventually, but we don't know when or how that will happen. What's going to happen to my playlists I've built up over time? What's going to happen to the songs I've purchased? Will I have offline support? The fear that it's all going to be yanked out from underneath me without that safety net is real. Google+ or Buzz / goo.gl / Google Reader / Wave / Youtube Video Editor / Hangouts?? Those are just the options that I really liked without a clear alternative. There's a huge (and growing) list of Google products that have died. There are definitely some Google products that should 'die' or are in need of some TLC... blogger (which I use to write this 'blog') being key among them. How about Google Voice? Hangouts is hanging by a thread. Google, you need to listen to your user base ... not the empty gaps. Sure, not a lot of people were using goo.gl, but those that did (me) used it a TON and with it gone have to figure out where to find something similar. Maybe it's time I start thinking about re-adopting Hotmail?